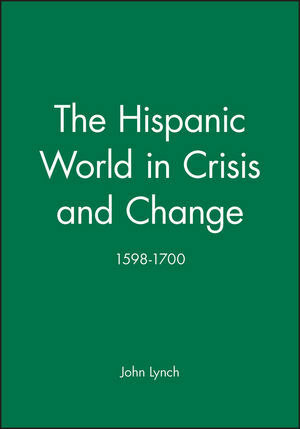 The seventeenth century has gained enormously from the resurgence of historical studies in Spain and from the contributions of historians outside the penninsula. In this book, John Lynch has taken account of this research to substantially revise and expand his Spain Under the Hapsburgs, Volume II . It retains its previous framework, and provides a penetrating account of Spanish society, economy, government and politics during this period. John Lynch has spent most of his academic career in the University of London, first at University College, then the Institute of Latin-American Studies. His research interests have centered on the Hispanic world in the colonial and independence periods. List of Illustrations and Maps. 1. The Hispanic World in 1600. 2. The Government of Philip III. 4. Olivares, Castile and Imperial Spain. 5. The Great Crisis: 1640 and After. 7. American Trade: Recession and Revival. 8. Spanish America: A Changing Empire. 9. Government and Society in the Reign of Charles II. 10. The End of Habsburg Spain. A paperback edition of the classic history of Spain's American Empire at its height.